Seoul is an awesome choice for family travel and there are lots of things to do in Seoul with kids. 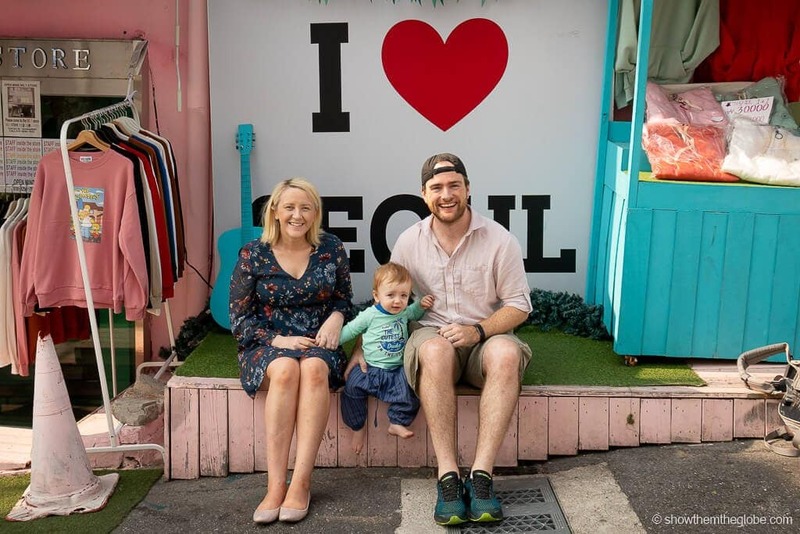 We visited Seoul with J and loved our family time in the colourful and chaotic city where modern and historic seamlessly mix. 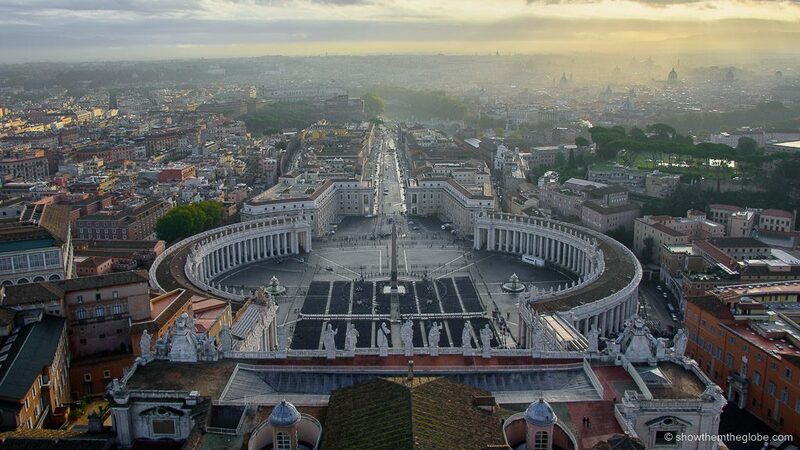 Together we explored its iconic sights from its Grand Palaces to its quirky street art and colourful cafes. 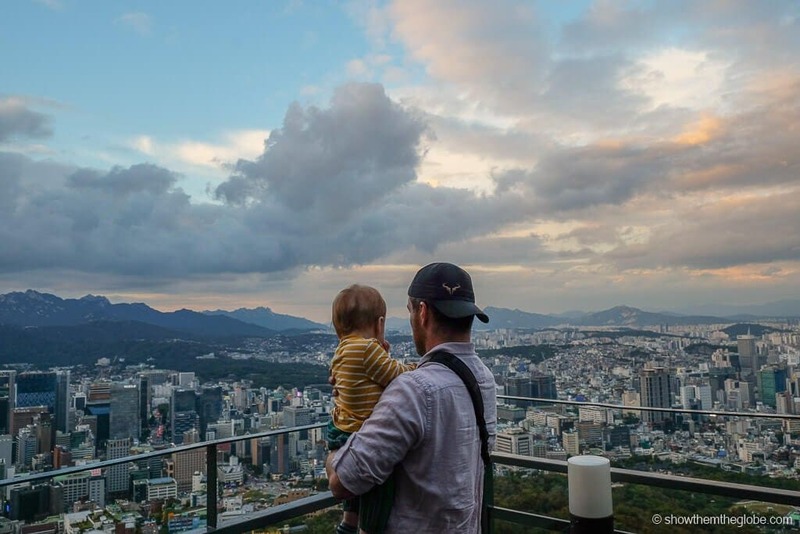 Here’s our guide to the best things to do in Seoul with kids! 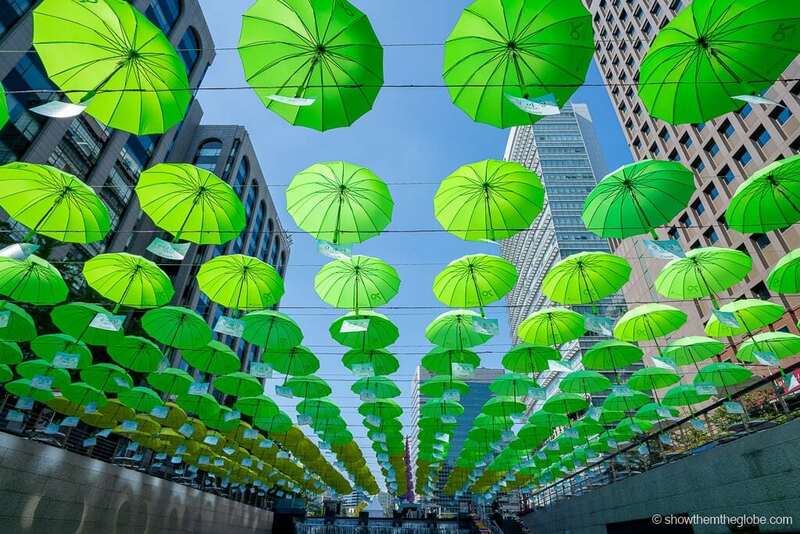 Dressing up is always fun and Seoul is the perfect spot for the whole family to indulge! The colourful hanbok dress is a 1,600-year-old Koran tradition and the celebratory outfit is worn by men, women and children. The city streets are full of Koreans and tourists visiting its palaces and historic areas dressed in hanboks. 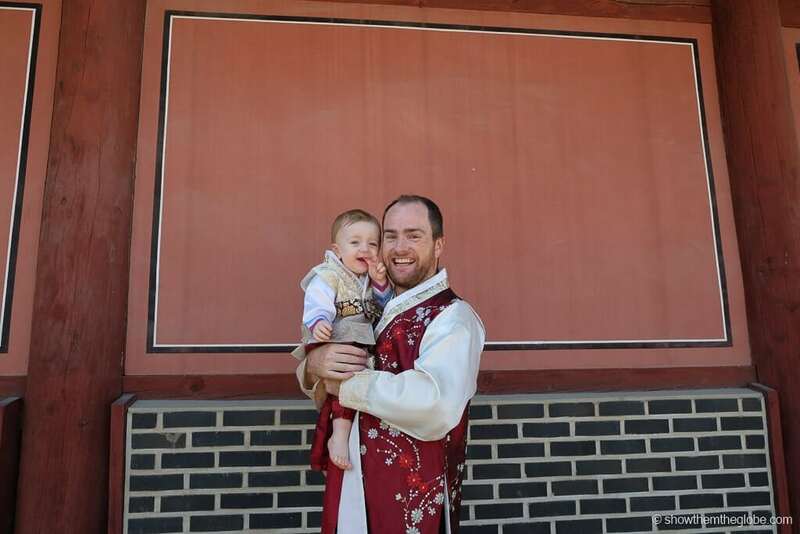 Renting a hanbok is an awesome way to embrace Korean culture and have some family-friendly fun in Seoul. We used the Klook app to reserve our hanbok’s and saved almost 50% on the in-store price. There are lots of shops offering hanbok rental in Seoul but we highly recommend this Hanbok rental store located in Gyeongbokgung. 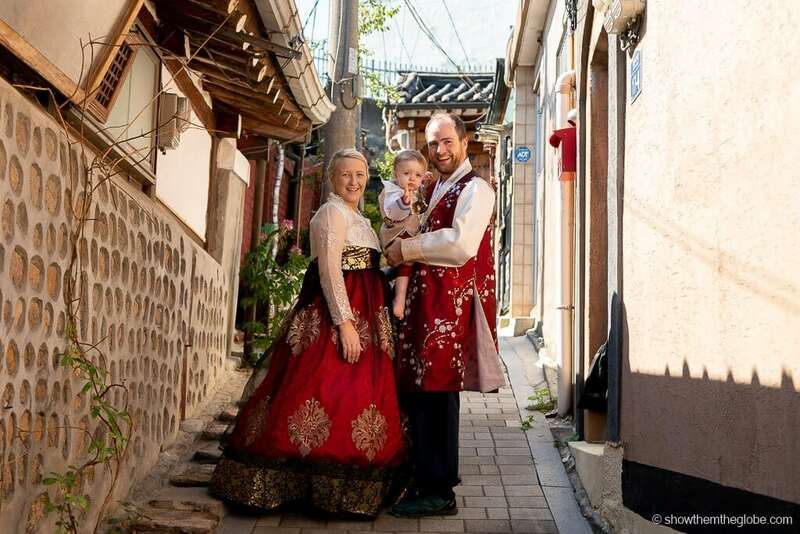 The location is perfect as it’s close to the Bukchon Hanok Village and the Gyeongbokgung Palace and the Changdeokgung Palace and the selection of clothes is extensive – we were able to find awesome hanboks for men, women and kids. 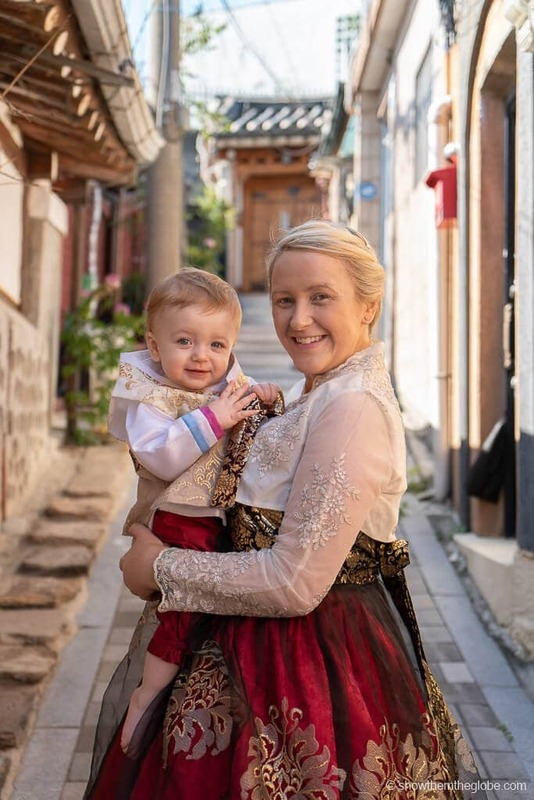 Best things to do in Seoul with kids tip: plan to visit a palace and the Bukchon Hanok Village on the day you rent a hanbok. 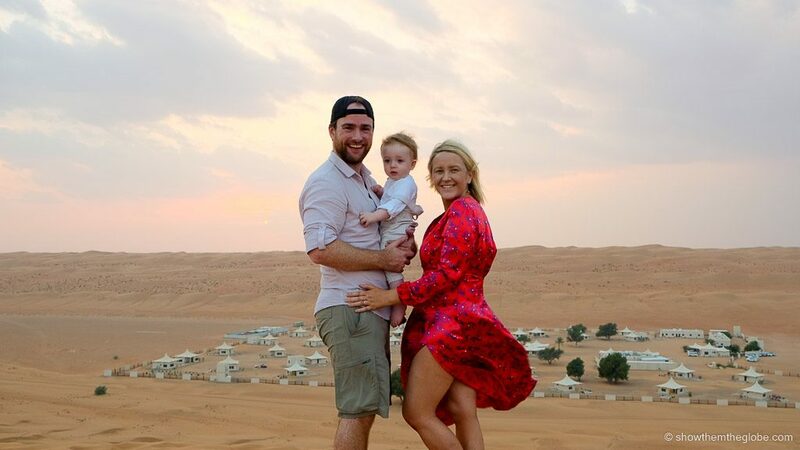 We recommend a 3.5hour rental as is the perfect amount of time to explore a little and capture lots of photos. Remember, many tourist sites close on Monday’s in South Korea. 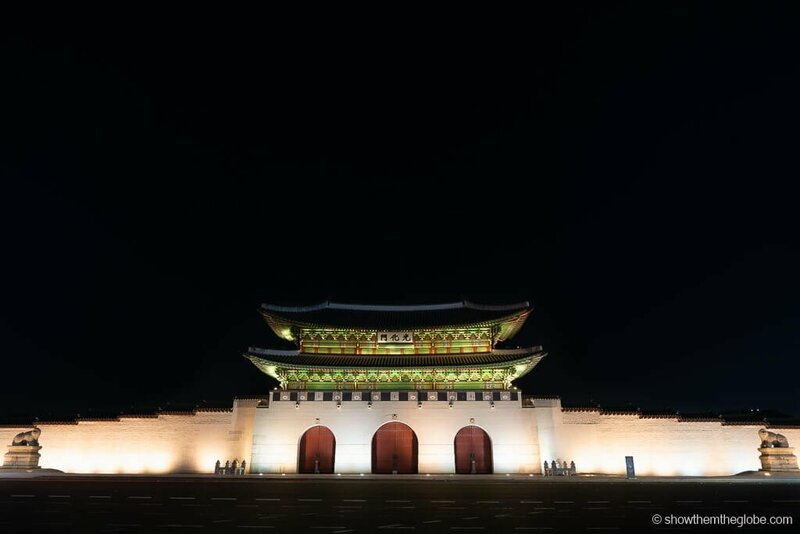 If you only have a Monday free, the Gyeongbokgung Palace is the only palace open. 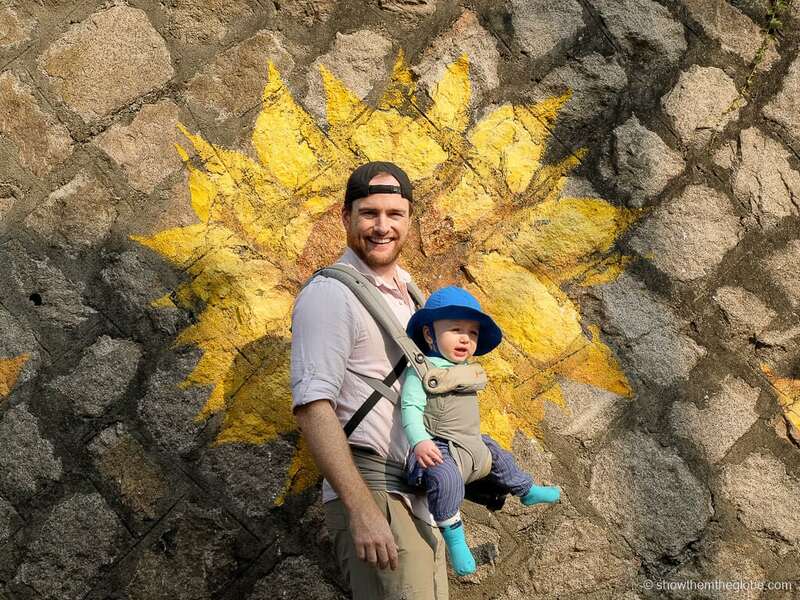 The street art scene in Seoul is colourful and fun and exploring the Iwha Mural Village on Mount Naksan is one of our favourite things to do in Seoul with kids. 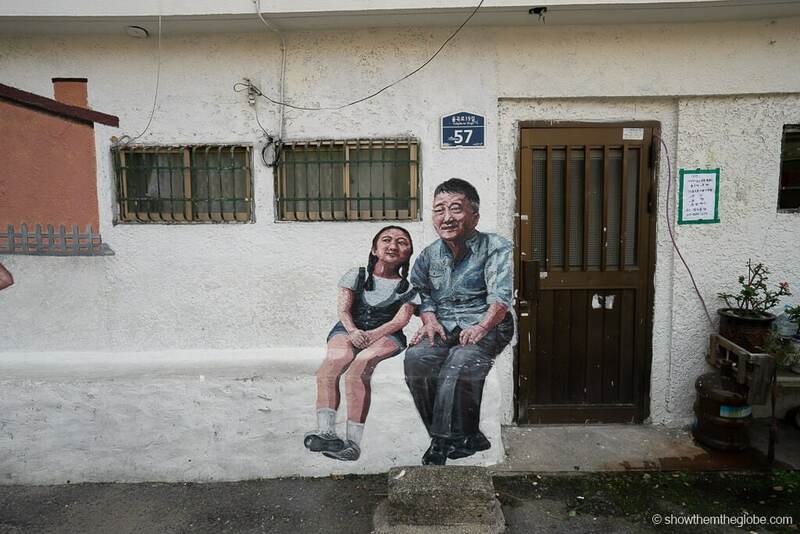 From an ‘I love Seoul’ declaration to a pair of hugely popular angel wings, the winding streets of the Iwha Mural Village are filled with works of art which appeal to both adults and kids. The village, situated on a hilltop overlooking Seoul, is full of quirky clothes and souvenir shops and is a great place to spend an afternoon. I like the flowers dad! We really hope that J shares our love of books and we always seek out beautiful libraries and bookstores to explore on our travels. 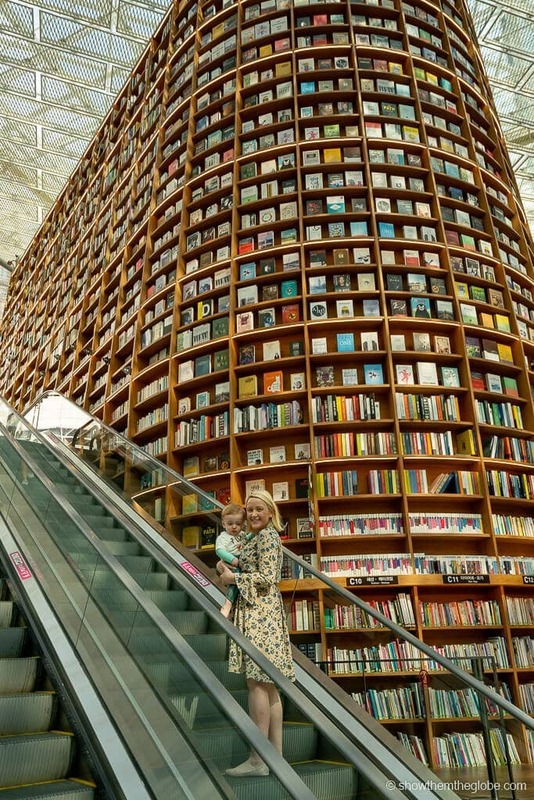 The Starfield Library in Gangnam’s Coex Mall is a book lovers dream. The towering shelves are filled to the brim with over 50,000 books and there’s plenty of seating to sit down and enjoy. The library often hosts children’s entertainment on Saturdays. 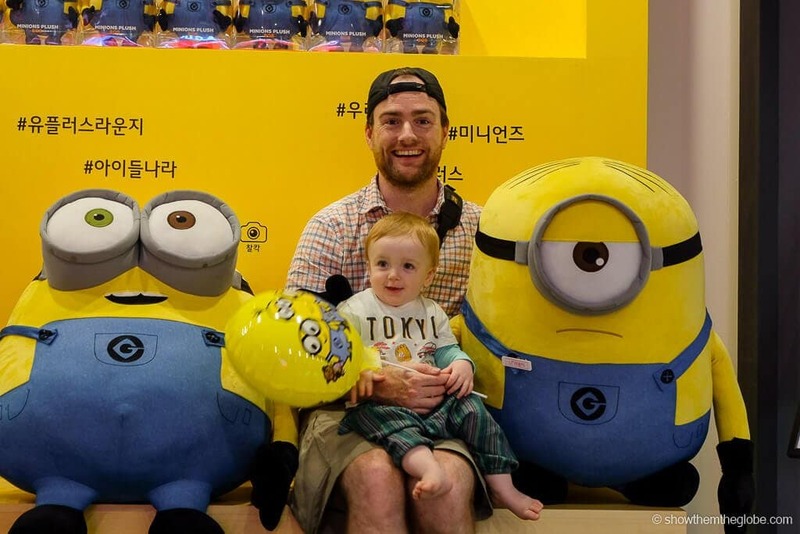 Best things to do in Seoul with kids tip: The Starfield Library is located in the kid-friendly Starfield Coex Mall which also houses an aquarium and cinema as well as pop up stalls and events: J loved the Minions pop up store and the BrickLive Lego playground during our visit. Happy times in the Minions pop up store! Founded at the end of the Korean War in 1953, the Korean Demilitarized Zone and covers a 4km wide land area along the border of North and South Korea. The DMZ is only accessible through a tour and it is one of the most popular day trips from Seoul. Depending on the tour, visitors are offered a glimpse into North Korea with stops including the infiltration tunnels, Freedom House, the Dora Observatory and the Bridge of No Return. Visitors can opt for a DMZ tour, a JSA tour or a tour which covers both the DMZ and the JSA. The Joint Security Area is known as Panmunjom and includes Freedom House which acts as a meeting place between North and South Korea. Children over 11: the JSA is only accessible to children 11 or over. This is due to the fact that tourists cannot interact or approach the North Korean side. The JSA is currently closed for tours and is expected to remain closed until June 2019 at the earliest. The War Memorial in Seoul was built to commemorate the Korean war that led to the modern day Korea and its outdoor displays are fascinating for kids. There are incredible bronze statues as well as aircraft, tanks and vessels which children can explore. 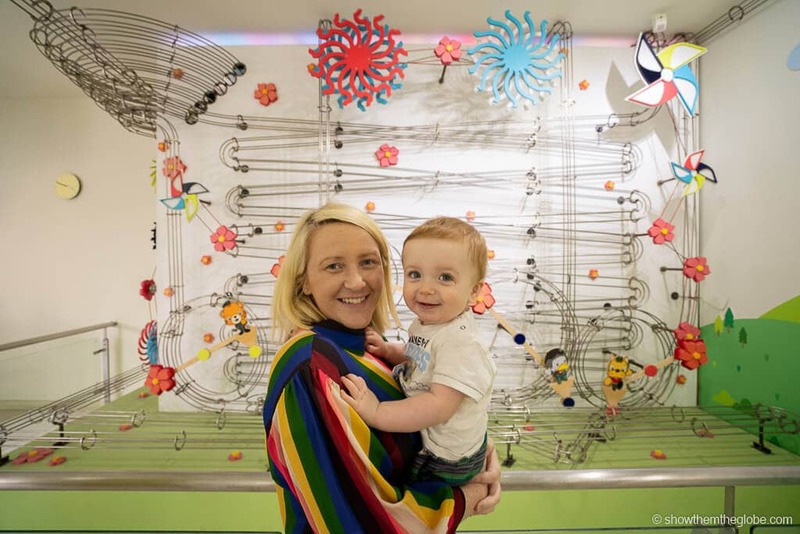 There is an accompanying children’s museum which, although obviously war-themed, has interactive exhibits and soft play areas which appeal to kids of all ages. Make sure to stop by the playground outside the museum where the slides and climbing frames are perfect for letting the kids burn off steam! The Bukchon Hanok Village is a traditional Korean village in the heart of Seoul. Its narrow and winding streets are filled with hanoks, the traditional Korean houses which date back to the Joseon Dynasty. Local handmade craft souvenirs are sold in some of the hanoks and offer a peek inside the traditional houses. Given its traditional setting, the picturesque village is one of the most popular areas to venture when renting hanboks. The 555 metre Lotte World Tower is the 5th tallest building in the world and it dominates the skyline of Seoul. 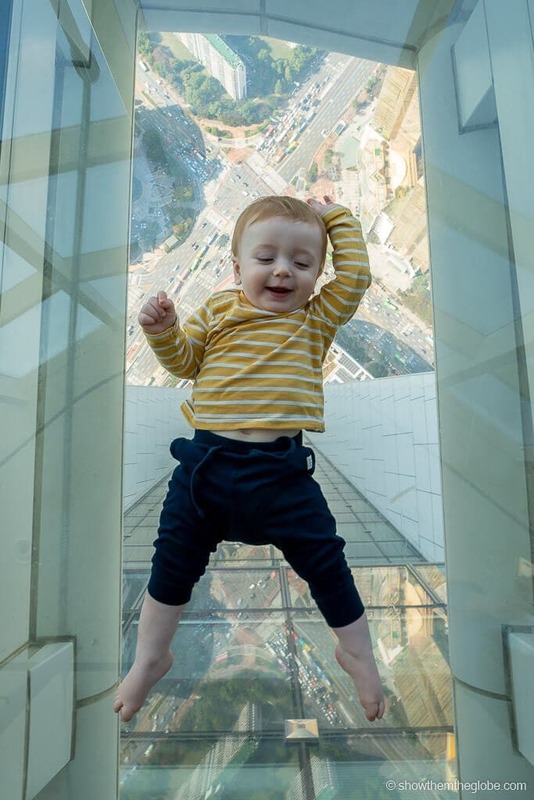 The Lotte World Tower observation deck, Seoul Sky, has 360-degree views of Seoul and is a fantastic spot to visit with kids. The experience starts with a double-decker elevator ride, known as the Sky Shuttle, which has an awesome interactive display and the floor to ceiling windows on the 118th floor offer endless skyline views. 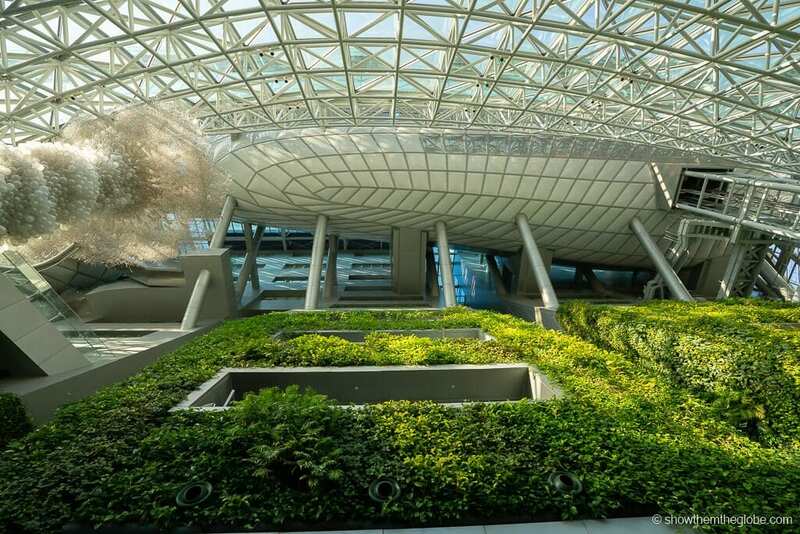 The highlights are peering through the glass-bottomed observation deck with its birds-eye perspective of the city and the outdoor terrace on the 120th floor – check prices here! The glass floor was a hit with J! The beautiful Jogyesa Temple is located in the heart of Seoul and represents the centre of Korean Buddhism. We visited during the annual flower festival and the temple grounds were awash with sculpted flowers and hedges in the shape of Buddha, elephants and dragons. The temple is colourful and beautiful and the grounds contains ancient trees which are 500 years old. Jogyesa is also famous for the Lotus Lantern Festival when the courtyard is decorated with paper lanterns during the Buddha’s birthday celebrations. One of the 5 grand palaces of Seoul, Gyeongbokgung is the biggest and was the main royal palace of the Joseon dynasty. 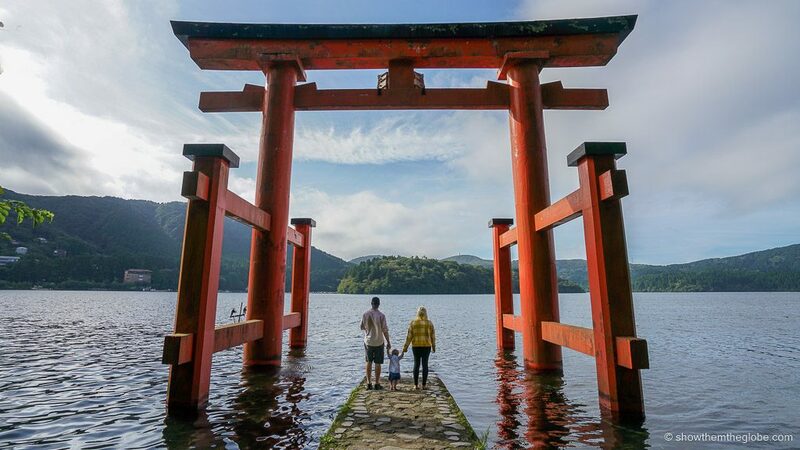 The grounds are beautiful and perfect for a wander: we loved the traditional wooden buildings and the beautiful lakes. 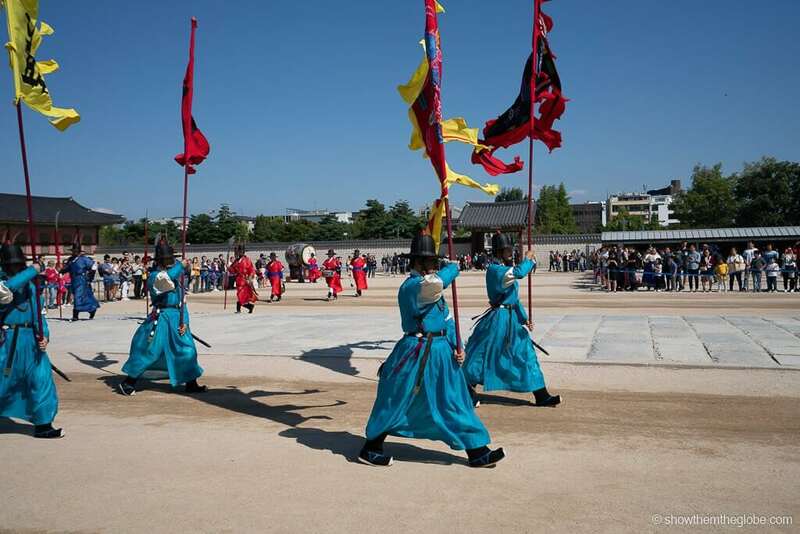 Make sure to catch the changing of the guards’ ceremony which takes place at 10am and 2pm at Gwanghwamun, the main gate of Gyeongbokgung. 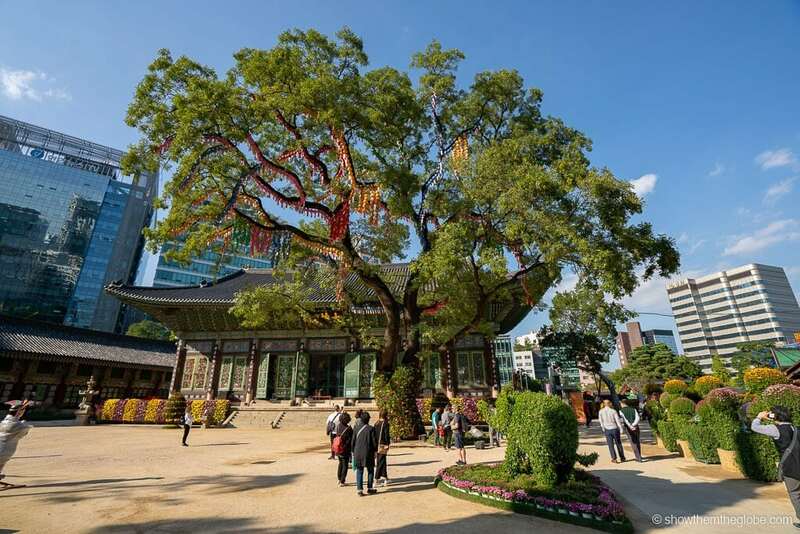 Best things to do in Seoul with kids tip: the Gyeongbokgung Palace is closed on Tuesdays while most of the other historical sites close on Monday. 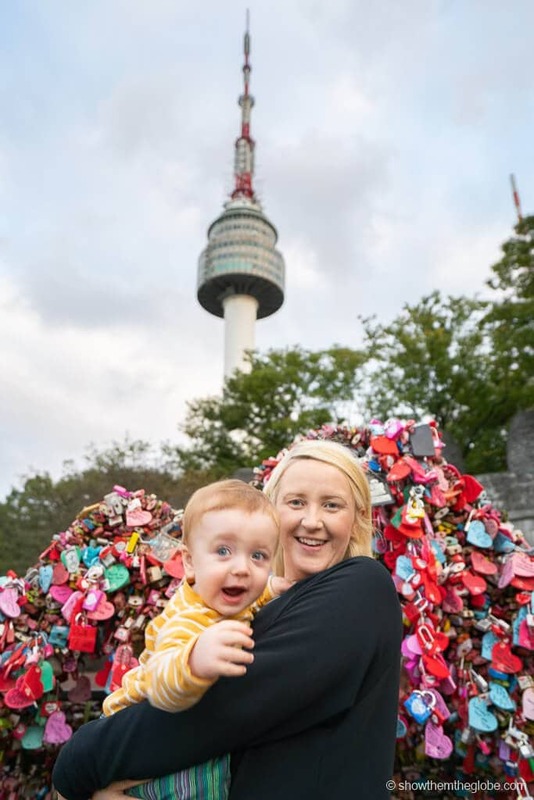 The iconic N Seoul Tower sits atop Namsam Mountain and is one of the most recognisable landmarks in Seoul. The tower is accessible by either cable car or a hike and the views from the top are awesome. We hopped on the Namsan Cable Car and then to the top of the N Seoul Tower Observatory and were rewarded with panoramic views of the city. There’s also a love locks tree and a Hello Kitty house to visit while up there! Seoul best photo locations tip: If you plan to visit the N Seoul Tower itself, make sure to book you tickets in advance on Klook. We used the Klook app extensively in South Korea, where you get a decent discount on most entry tickets, including N Seoul Tower – check prices here! Changdeokgung Palace, a UNESCO World Heritage site, is home to the Secret Garden, once a haven of relaxation for the Royal Family dating as far back as the 15th Century. The lush gardens are wonderful to explore and are home to a lotus pond as well as pavilions and pagodas. 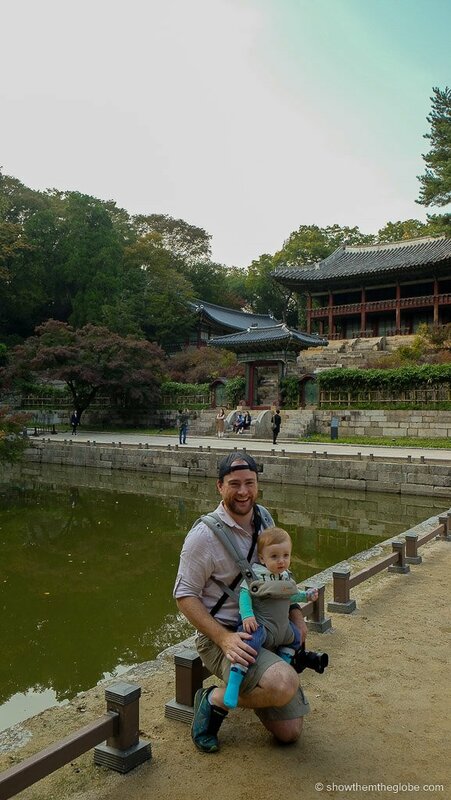 Best things to do in Seoul with kids tip: the Secret Garden is only accessible by joining a tour and requires a separate ticket in addition to the palace entrance. 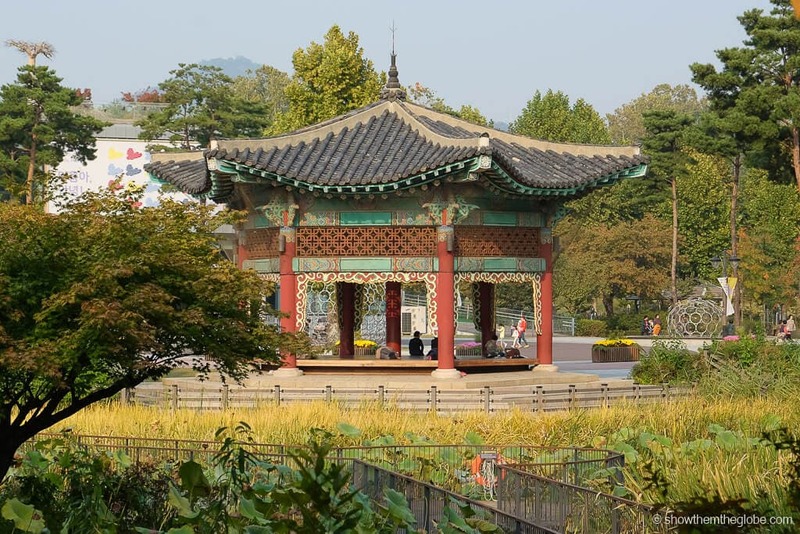 With a playground, botanical garden, children’s museum and amusement rides, the Seoul Children’s Park is an awesome public park for a family adventure. The park is at its prettiest in the summer months and the creative and interactive Children’s Museum is a real treat for younger kids. With a choice between Everland, Lotte World and Seoul Land, a visit to a theme park is a must do. All three parks are a great family friendly option and can be accessed relatively easily from Seoul. We opted for the more toddler-friendly Lotte World which consists of Lotte World Adventure, the biggest indoor amusement park in the world, and the outdoor Magic Island which is located on a man-made lake. Height restrictions mean the rides are limited but under 3s receive free admission. 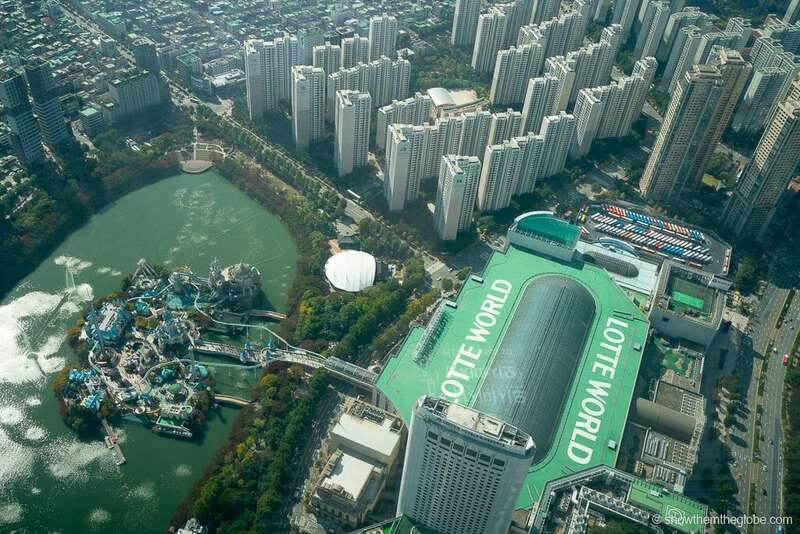 Lotte World from the sky! 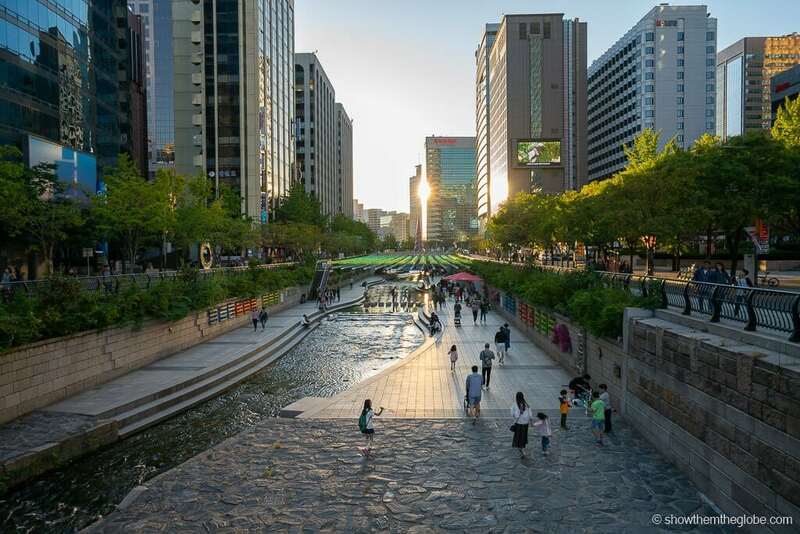 The Cheonggyecheon Stream runs through North Seoul and its walkway is an oasis of calm compared to the busy city streets. The stream runs for miles and passes under 22 bridges. Our favourite spot was the umbrella covered plaza close to City Hall and J loved watching the fish and ducks along the way! Spring Tower, the Candlelight Fountain and the stepping stone are also highlights of a walk along the stream. 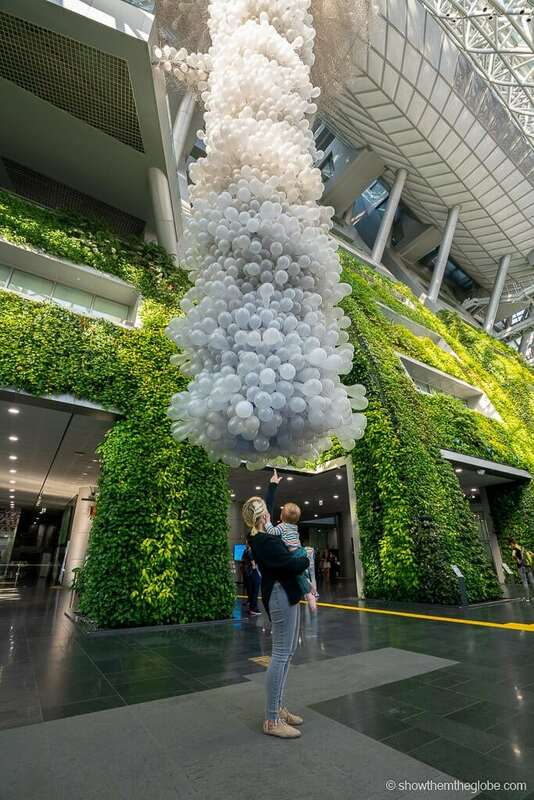 Best things to do in Seoul with kids tip: be sure to venture to the nearby Seoul City Hall where the vertical gardens and quirky exhibitions are a treat. There’s also an I Seoul U sign in the adjoining Seoul Plaza which makes for great pics. 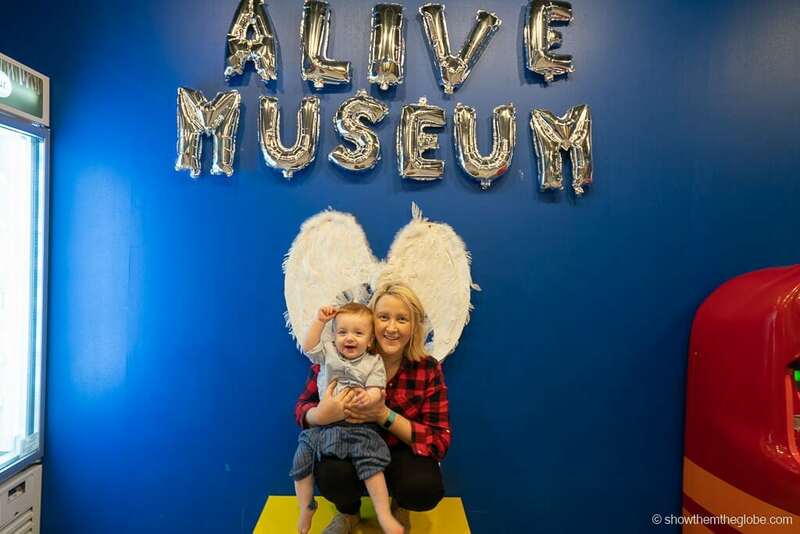 The Alive Museum in Insadong, a 4D museum full of optical illusions and peculiar art, is a really fun place to visit with kids in Seoul. The museum is totally interactive and there are lots of awesome photo opportunities. It’s Dynamic Maze, which requires the completion of a series of challenges to find the exit, is great for older kids – check prices here! The Trick Eye Museum, a 3D optical illusion art exhibit, is another great option. Visitors download an augmented reality app which brings the paintings to life. As well as the paintings, there is an Ice Museum, a Carnival Street and a Mirror Maze to explore – check prices here!